18 th Birthday of everyone’s life unwraps a special gift; the responsibility to cast a vote for the deserving leader. Honestly! If you are 18 and haven’t made your contribution to our improving country, you have lost the right to complain about politics. So, it’s your turn to decide, either you can be a responsible citizen who claims his rights or duties by voting this year or else you can wait for the next 5 years! Elections have come a long way, from punching stamps on a piece of paper to pressing a button on EVM to cast your valuable votes. But are we so updated about the new rules? Maybe not! The rush of casting a vote in every five years feels like the first time however if you have just turned 18 and 2018 Lok Sabha elections are your first opportunity to elect India’s future, rush won’t be your only thought in the voting booth. Won’t voting become a lot easier job if you have a guide for every possible question that could stand in your way to vote? If your answer is a nod, we’ve got you covered! Know Your Rights Before You Vote! All of them are legally eligible to vote, once they have their voter ID. As every category requires some special considerations, the process of voting varies accordingly for each category. Visit NVSP https://www.nvsp.in/ website in order to register yourself and if you need any further information about your rights SWEEP http://www.ecisveep.nic.in/ is just a click away. A voter can only cast his vote from the designated ward’s polling booth. 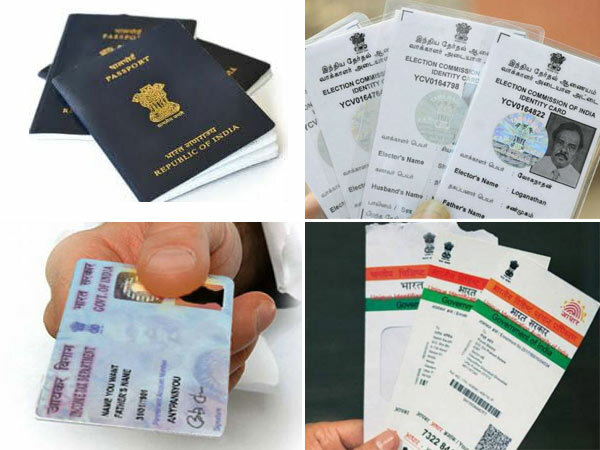 However if an Indian citizen shifts to any other part of the country and wishes to cast his vote from there, he can apply to delete the old address from the previous constituency and then register for the new constituency by submitting Form 7 and Form 6 to the Election Registration Office of the new constituency. Travelling to your registered address on the polling date of that state is always an open option. The procedure to register your address for college students residing in a hostel is a bit different. The student will have to get a resident Declaration Form signed by college authorities and only then your voting address will be registered as the one where your college is. If you are a Non-resident of India and also do not acquire the citizenship of any other country, you are lawfully eligible to vote from the constituency represented by the place of residence in India as mentioned in the passport. Carry These Documents With You on Election Day! do carry your Aadhar card to the polling booth to confirm your identity in case. What Is An EVM (Electronic Voting Machine)? older method of paper ballots with the new technology of EVM. This machine has 2 important components naming, control unit and balloting unit connected by a 5-metre cable. The control unit is managed by Election commission-appointed polling officer and the other balloting unit is the one on which a voter casts vote by pressing the button against the name and symbol of the candidate of their choice. What Is NOTA Option In EVM? the candidates is worth their vote. Before NOTA came into existence for EVMs, in order to cast a negative ballot, a voter had to inform the presiding officer at the polling booth and had to cast their vote on a separate paper ballot. NOTA option on EVMs has no electoral value, therefore, if the majority of votes are for NOTA, still, the candidate with the maximum number of votes wins. But a cast for NOTA sends a powerful message of non-acceptance towards candidates to the ECI and the country. The date for polling for the constituency of Madhya Pradesh is on 28 th November 2018 and the results will be declared on 11 December 2018. Remember, the vote you cast is for the candidate who will represent your area and then the party with the majority of votes elect the respective Chief Minister of the state. And indirectly, your single vote matter for electing the first man of India, the President. Therefore, be wise while casting your vote and country will be in deserving hands for the next 5 years. Your vote is your right, do not waste it!